Billy is a middle-aged, agreeable-looking man who loves his wife, 7-year-old daughter, his recently remodeled suburban home and, possibly above all, his yearly lawn projects. To say he's an enthusiast would be an understatement. All March he watches the weather in earnest. As soon as the weather breaks, neighbors will see him spreading, raking, tilling, edging, digging, watering, weeding, planting, and mowing. Being the yard-monger he is, Billy's lawn is by far the healthiest in the neighborhood. Therefore, it needs to be mowed about twice a week, and the clippings make an unsightly, clumpy mess in Billy's otherwise flawless lawn year after year. To get rid of the ugly clipping clumps, Billy rakes them into bags and leaves them curbside for his municipal trash service. It's a little extra work, but it keeps his lawn free of the waste and Billy is satisfied. Any yard enthusiast knows healthy soil is essential for a thriving garden, so every year Billy also goes to his local landscape center and buys $550 worth of topsoil. He pays an extra $300 to have the soil mixed with organic compost and then busies himself in the garden for the remainder of the season. And that's the story of Billy, year after year. He seems like a guru--the kind of neighbor you'd go to with all your landscape and gardening questions. In reality though, his cumulative yard intellect is equivalent to one of those big bags of grass clippings he sets on the curb every week. Why? Because Billy pays extra (a lot extra) for organically amended soil when he can just rake all his grass clippings into a compost pile, let the nutrient-rich material decompose, and then mix it in to his planting soil later on. 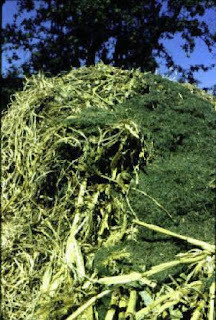 Even if he did absolutely nothing with the clippings and just left them on the lawn, they would still help his grass by decomposing and returning nutrients to the yard. Long story short: If you're still bagging and throwing away your lawn clippings, you need to stop doing that. It's a lot of work, and it's completely unnecessary. 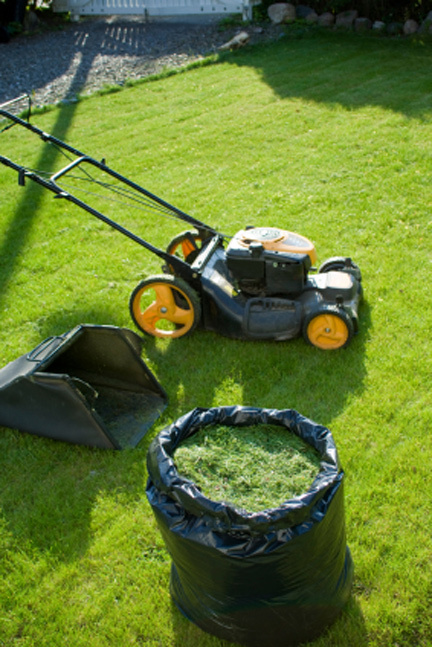 Either leave them to decompose and help your lawn grow better, or just rake the clippings into a compost pile. Add all your dead leaves and plant trimmings to the pile, too, and let them decompose into a free, nutrient-rich soil amendment. When added to the soil, home compost rich in organic matter balances soil pH and creates a healthy habitat for earthworms. Earthworm tunnels improve soil drainage and worm castings, which are added to several on-market soil amendments such as Coast of Maine's Bumper Crop, act as root feed. It also takes almost no effort to compost. You don't have to gather those hedge trimmings and yard clippings, stuff them into huge bags and lug those bags down to the curb. All you have to do is make a pile and let it sit there until it gets dark brown and crumbly and emits an earthy odor. Ideally you won't be able to recognize what you put into the pile when the compost is ready; if you're spreading two-foot redbud limbs into your garden soil, that's a hint that your compost pile may not be ready yet. The practice of home composting is endorsed by the professional gardeners at Whispering Hills and nearly all other well-informed garden centers. For additional information on composting, please visit the University of Illinois extension's article on composting, or call 847-658-5610 and talk to the experts at Whispering Hills. Information in this blog post attributed to the University of Illinois Extension.